Ancient Egyptians lived by the Nile river becuase anywhere else was too dry. 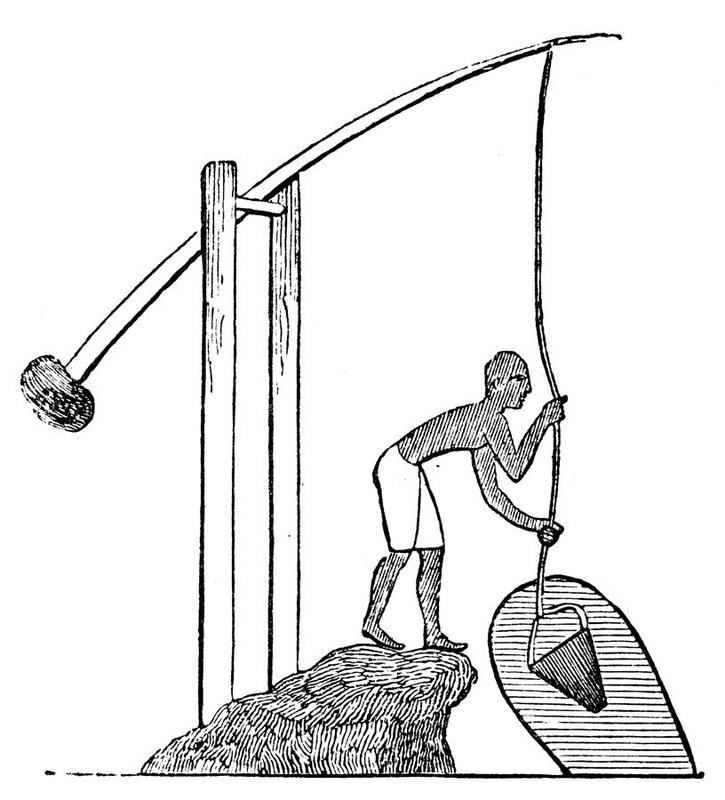 The Nile would flood annually making the ground fertile to grow crops. The fertile ground enabled the Ancient Egyptians to grow crops like wheat and barley, vegetables like lettuce, onions, peas, leeks, garlic, cucumber, and squash, and fruits like melons, grapes, dates, figs, and pomegranates. 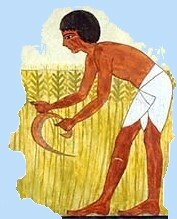 Most Ancient Egyptians were farmers, though everyone helped plant crops. Farmers had pigs, geese, goats, and cattle and also used donkeys and oxen for plowing their fields and trampling the seeds into the soil. 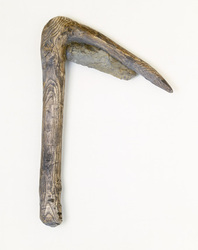 They used sickles to harvest their crops. 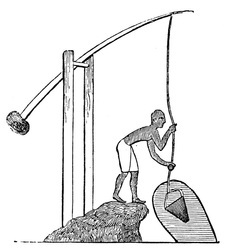 The farmers also relied on the Nile to water their crops because of the little rainfall they got. They ended up creating shadoofs which made watering their fields easier during the dry season. The Ancient Egyptians ate antelope, gazelles, cranes, herons, honey, caviar, fish they caught from the Nile and had wine and beer. They also made bread from they grains they had. They used the juices from figs and dates to make drinks and made cooking oils by crushing the oil from flax or sesame seeds. They cooked their food in clay ovens or over open fires. The Ancient Egyptians didn't eat piga because they thought that pigs carried leprosy. Poor Egyptians arely ate meat, but some raised ducks, rabbits, geese, or chickens.